As of January this year, the Swedish-American Chamber of Commerce (SACC) Texas has a new President. 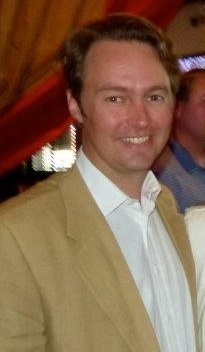 Stefan Lloyd lives in Dallas and first joined SACC in December 2011, replacing Sweden’s Vice Consul Tina Klintmalm as Vice President of SACC-Dallas. It was when Stefan went to the Consular Office in Dallas to renew his passport that, after speaking for a while, Tina suggested Stefan replace her as VP. -I had never done anything non-profit before and I thought it sounded interesting to help promote profit between the two countries that mean so much to me. Stefan is half-Swedish, half-British and originally from Gothenburg. He earned his Master of Science in Financial Economics from the University of Gothenburg and started off his financial career as an investment banker followed by co-founding a long/short equity hedgefund manager living in London. Stefan owns and runs his own company, Almond Capital, which trades foreign currencies using algorithms based on artificial intelligence. Three and a half years ago, Stefan moved with his family from London to Dallas. -My wife is from Dallas and we had a newborn child, and Dallas is a great place to raise a child. Also, Dallas is a big financial center in the US, geographically located in the middle of the country with easy access to Europe where many of my investors are. It is also a place that offers great quality of life and low taxes. Texas was named America’s Top State for Business 2012 by CNBC, Business Facilities crowned it State of the Year 2012 and Forbes recently placed five Texas cities (Austin, Fort Worth, San Antonio, Dallas and Houston) on their top 20 list of the coolest cities in America. -What do you think is the reason for Texas’ popularity? -The fact that Texans are very open-minded and generally see the glass half-full rather than half-empty. The positive attitude is contagious and I think that is one strong reason for the popularity. 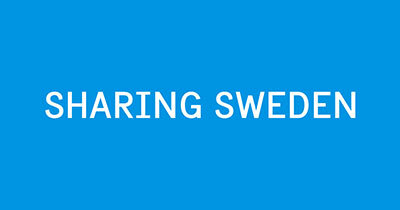 -What do you think are the biggest differences between Sweden and Texas? – The biggest and most obvious difference is the climate but there are actually a lot more similarities when you scratch the surface. Sweden and Texas both produce many very successful entrepreneurs and businesses and both have a global perspective on business which is essential for success in today’s world. -What do you wish to accomplish as President of SACC-Texas? – I want to make a bridge between Sweden and Texas where we manage to present and introduce all the unique and positive things from Texas in Sweden. Knowledge of Texas in Sweden is very basic and usually linked to the TV series “Dallas”. One big thing is helping Swedish companies to relocate to Texas and to build Texas as the new tech hub for foreign companies in the US. Stefan is now, as President of SACC-Texas leading the Chamber in work to set up a template framework for Swedish growth companies to relocate to Texas. A project relating to this is starting up in the beginning of June and is sure to bring exciting opportunities for SACC members.